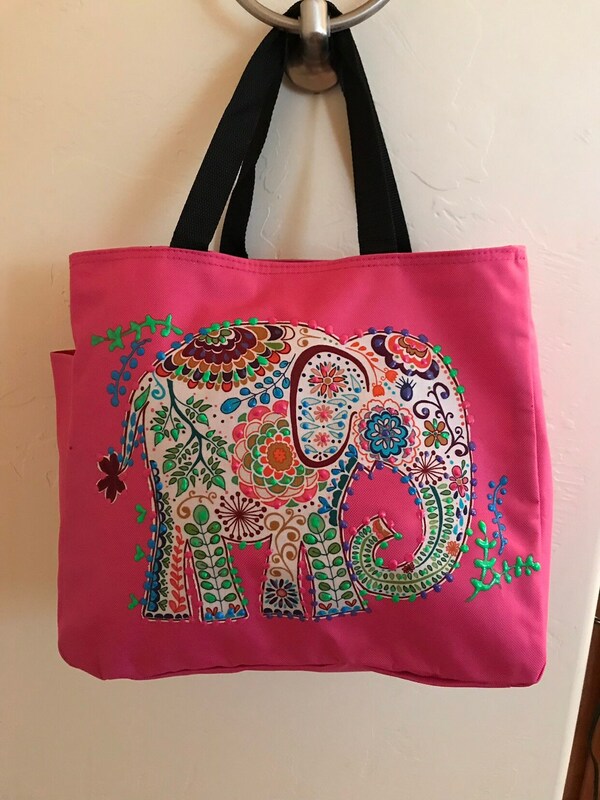 Hand painted, appliqued, candy pink elephant tote. Large 13" x 11" x 4" bag with double carrying straps with an 13" drop and wide bottom. Colorful elephant tote has side pocket , made of polyester canvas. Cute, festive and useful....guilt free shopping!